I finished my online design portfolio today, and had a friend take some photos of my hand-drafted outfits, so I thought I'd share one here! 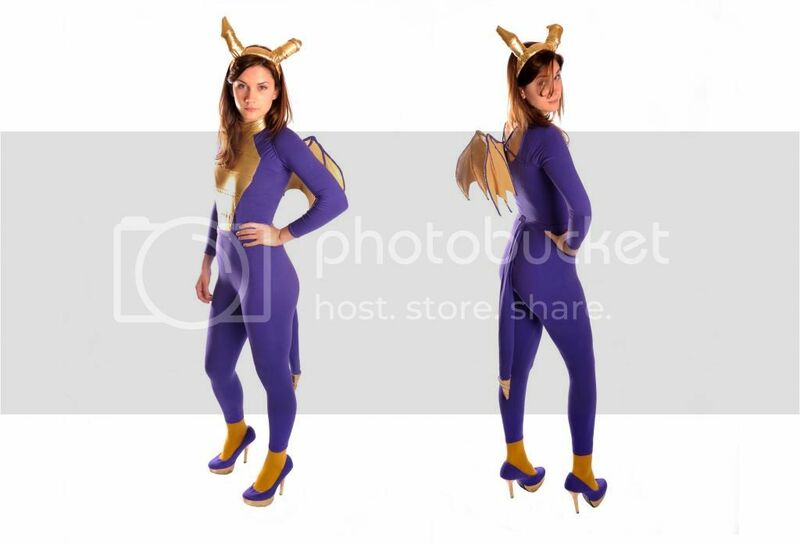 If you don't know about my Spyro the Dragon costume, you can see it from the initial designs to how to make the different components here. Accidentally looking a bit stern, maybe its the fiery gaze of a dragon? There are some other photos of things on my portfolio that I haven't shared on my blog, like the complete re-do of the portrait of my dad, and an evening dress, so why not go and have a look! I learnt so much about HTML and CSS coding putting my portfolio together, it resided me of my old freewebs days. I'm almost tempted to give my blog a bit of an overhaul - if I ever get round to it! There are plenty of things I need to finish here first (the petticoats I am still making with Jenny, posting a photo of Greg's gilet) but now that things are calming down with my degree, maybe I'll get a chance, who knows!